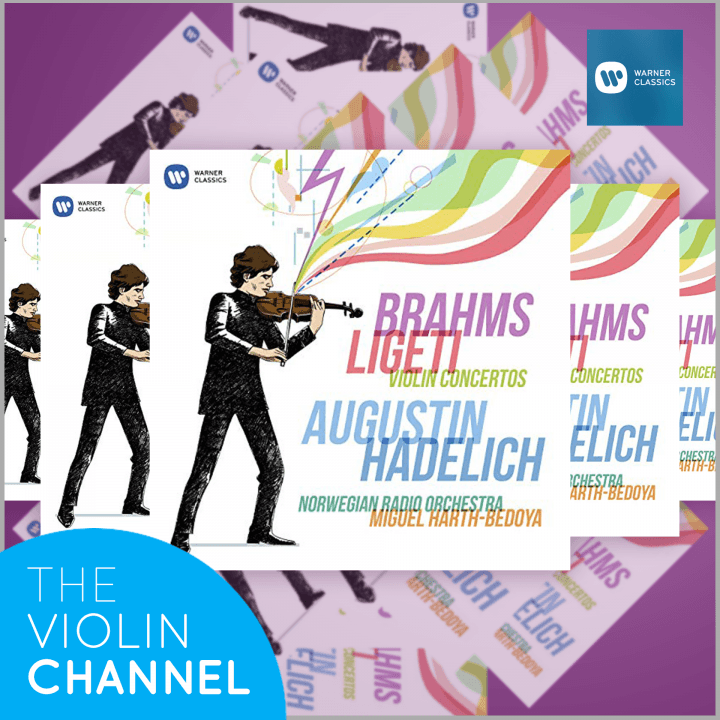 To help celebrate the international release of VC Artist Augustin Hadelich‘s new album Brahms Ligeti Violin Concertos, The Violin Channel in conjunction with Warner Classics is this week giving away 5 fresh-off-the-press personally-autographed CD copies. Recorded with conductor Miguel Harth-Bedoya and the Norwegian Radio Orchestra, each disc features Brahms Violin Concerto in D Major – coupled with György Ligeti’s Violin Concerto. “I’ve dreamt for a long time to record these two concertos together … I love extreme contrasts on programs, and find changes of style refreshing …” Augustin has told The Violin Channel. “Despite their obvious differences in temperament and compositional style, the romantic Brahms and the avantgardist Ligeti surprisingly share a lot in common … for example the influence of renaissance counterpoint and of Hungarian folk music in both concertos …” he has said. Entries Close: Wednesday 17th April , 2019. Closing date for entry will be 11.59pm 17th April 2019 (New York Time). After this date no further entries to the competition will be permitted.